Join us Sunday, April 28th at 12:00 pm for a day of food, fellowship, and fun. The day will kick off with a special time of Worship and Water Baptism in the Tom and Mary Anne Peters Student Center. 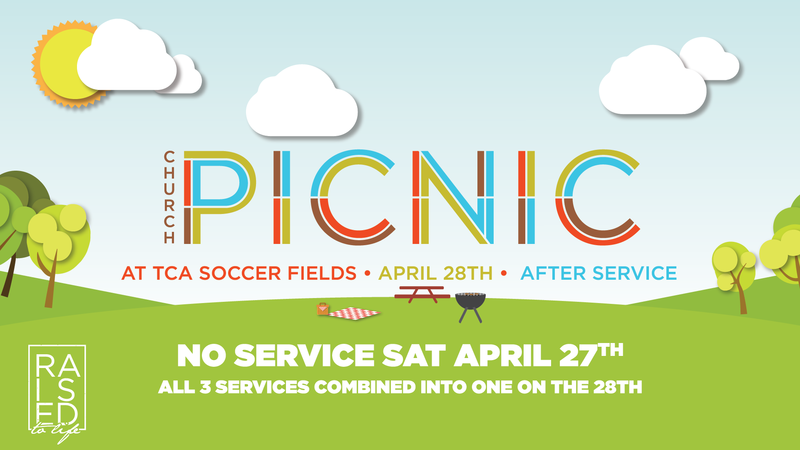 Our annual TCI Picnic will immediately follow the service right here on the TCI campus. This free event will include games, bounce houses for all ages, and free food & drinks. Please join us as we celebrate those that have given their lives to Christ and be ready to have a fun-filled day with the whole family. While all are encouraged to celebrate with us, registration is required in order to be baptized.